A 2019 landing page is a webpage that drives conversions for a company. It should be simple and visually appealing. B2B organizations can benefit greatly from having well-designed landing pages. Minimalism is the latest trend in landing page design, as well as keeping content short. Here are examples of some of the best B2B landing pages of 2019. Unbounce produces landing pages, so it makes sense that they would have effective ones of their own. One of their landing pages promotes their free ebook, 12 Proven Ways to Convert with Overlays. You are drawn immediately to the page with its informative and effective headline. 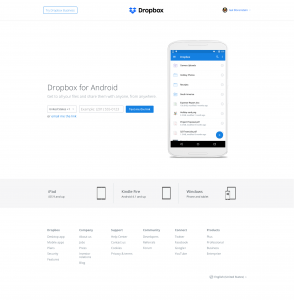 This landing page was featured in IMPACT’s “42 Best Landing Page Examples for Lead Generation in 2019” list. The simple page concisely explains the benefits of downloading this free ebook. The page draws on social proof in the form of company logos. This builds trust for the viewer since they know the product is used by other businesses. There is also social proof through a testimonial, again building trust for the potential customer. Its catchy and colorful call-to-action button also make this page successful. Upwork’s landing page was featured in Taboola’s list of “12 of the Best Landing Page Design Examples to Learn From.” Upwork’s straightforward headline tells you exactly what the company offers, “Get it done with a freelancer.” This landing page draws on social proof through company logos, building trust for website visitors by letting them know that Upwork is a solution relied on by major companies. The green call-to-action button is also eye-catching and does not require personal information from the visitor, unlike most landing pages. 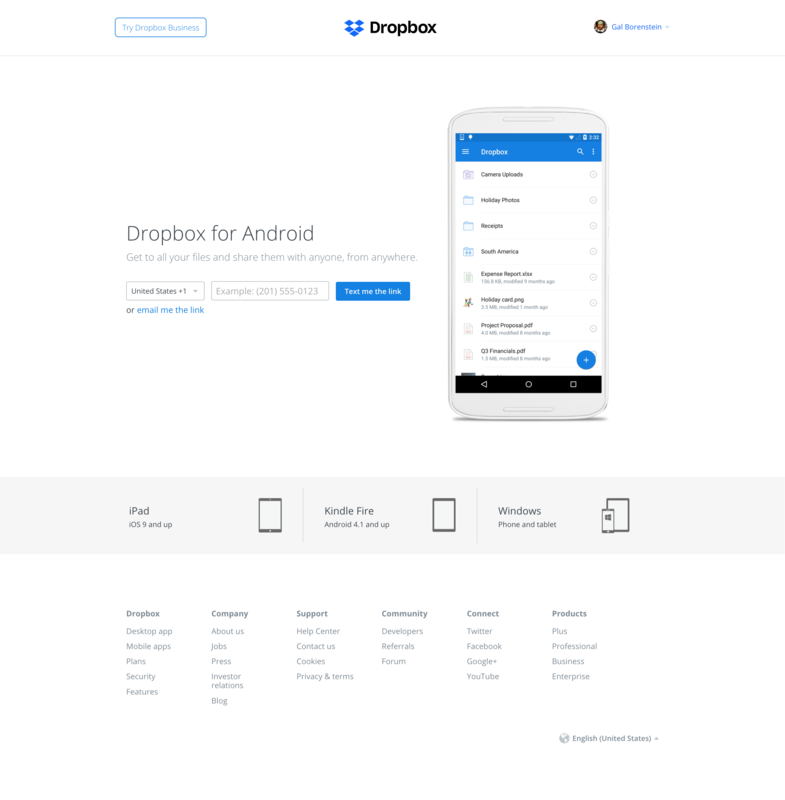 Simplicity is key in effective landing page design, and no example shows this better than the Dropbox for Android landing page. This landing page was included in Crazy Egg’s “23 Effective Landing Page Design Examples That Convert” list. Its minimalist design draws attention to the colorful call-to-action button. It only has one call-to-action on the page, minimizing the distractions for visitors. The image on the page showcases the app itself, giving viewers a chance to preview the app before taking the dive and downloading it themselves. Overall, B2B landing pages need catchy headlines, compelling call-to-action buttons, and simple designs. Need help launching your next landing page? Contact the Borenstein Group, top marketing agency, for all of your web development, marketing, and branding needs.